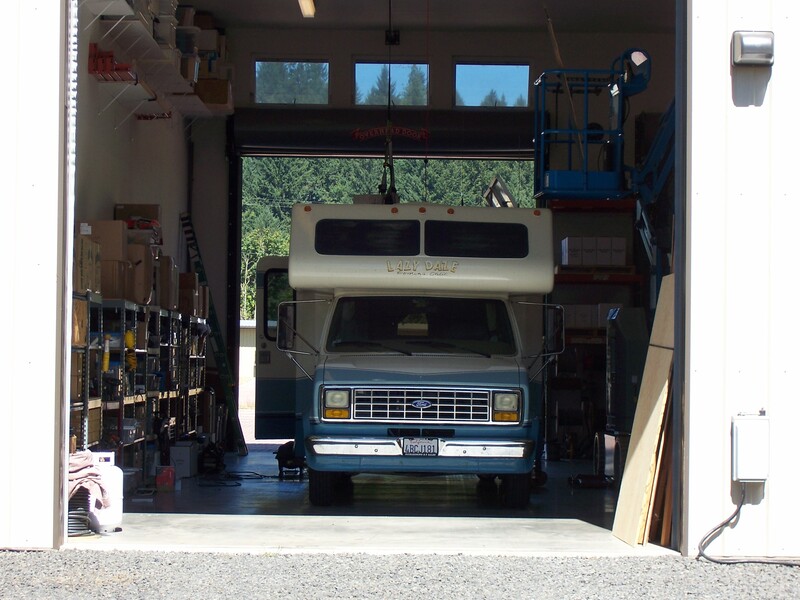 It has been one year on July 12 that I started my fulltime RV’ing lifestyle. I can’t believe it has been a whole year. I took the time to go back through this year and show you some of the highlights of my adventure. 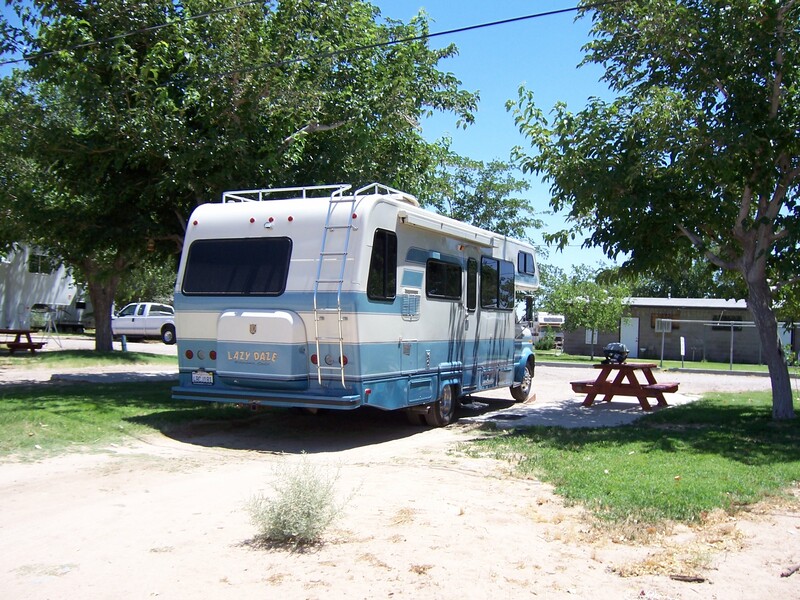 July, 2010 – Inyokern, CA – My very first campsite at the beginning of my adventure. I was really a rookie back then. 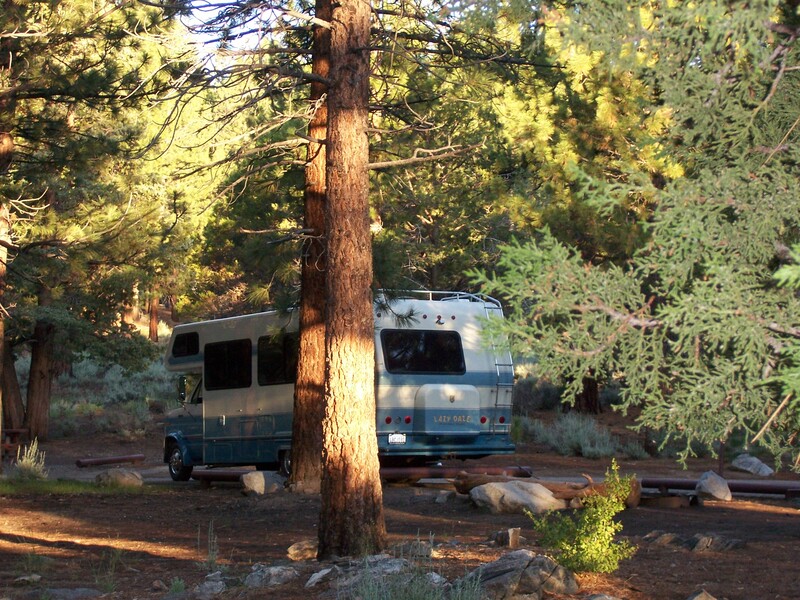 July, 2010 – Sequoia National Park – Boondocking in Fish Creek Campsite in the Sequoias. 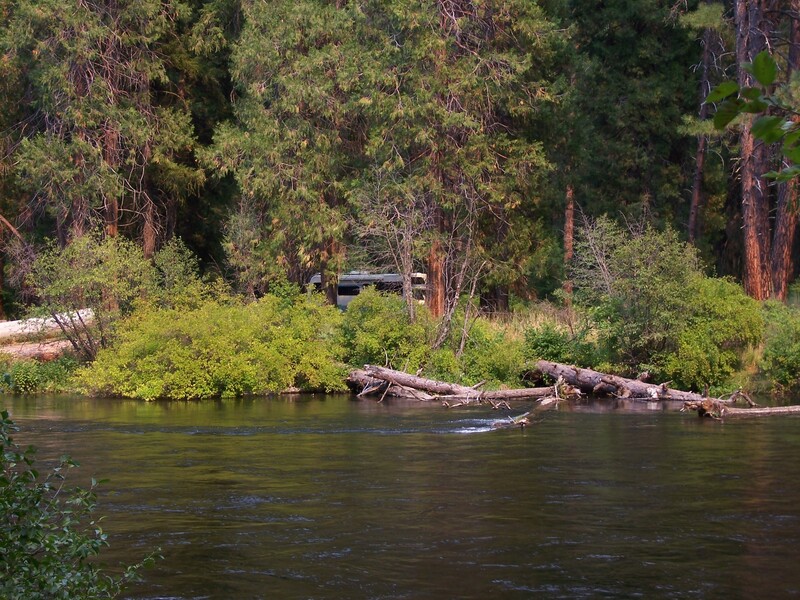 August, 2010 – Sisters, OR – Camping on the Metolius River outside of Sisters, OR. What a fantastic spot. 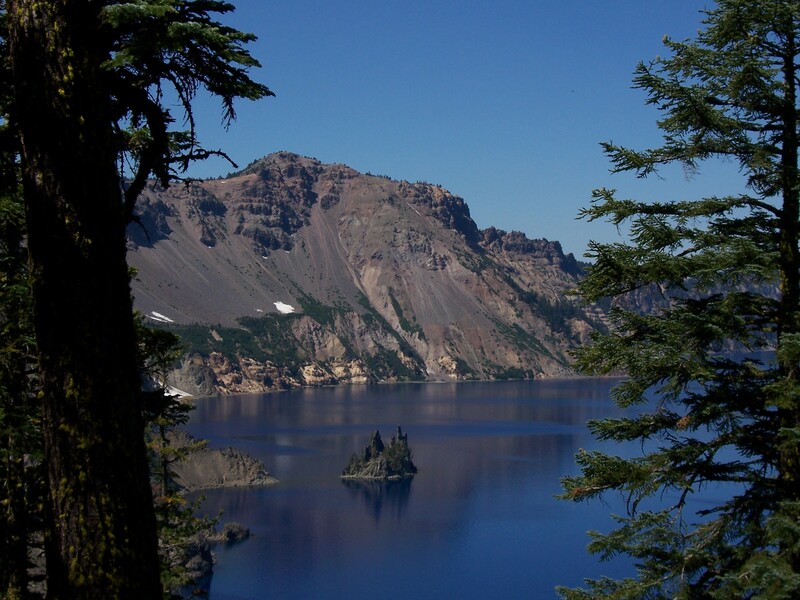 August, 2010 – Crater Lake National Park. Words cannot describe this beautiful place. September, 2010 – Eugene, OR – Getting my solar panels installed. My boondocking will be much quieter and more efficient from now on. 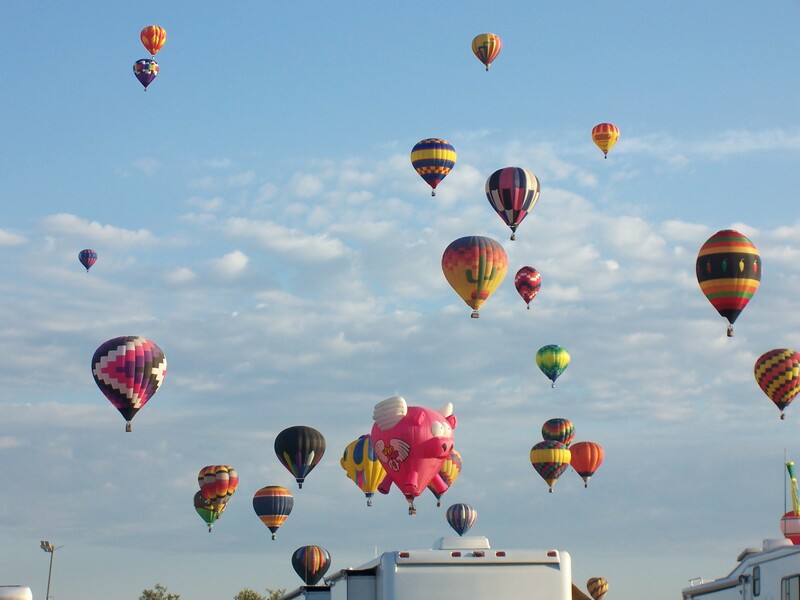 October, 2010 – Albuquerque, NM – Albuquerque Balloon Fiesta – 10 fabulous days with other fun Lazy Daze owners. October, 2010 – Palomas, Mexico – Central park. Visited there after attending Escapees Chapter 21 Rally. 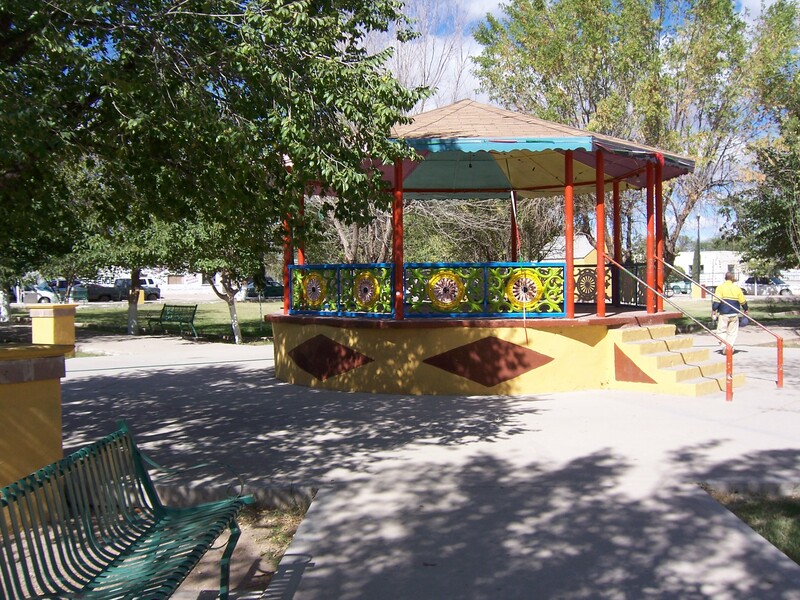 October, 2010 – Deming, NM – Rockhound State Park – This a rock hounds dream park. Lots of different rocks. 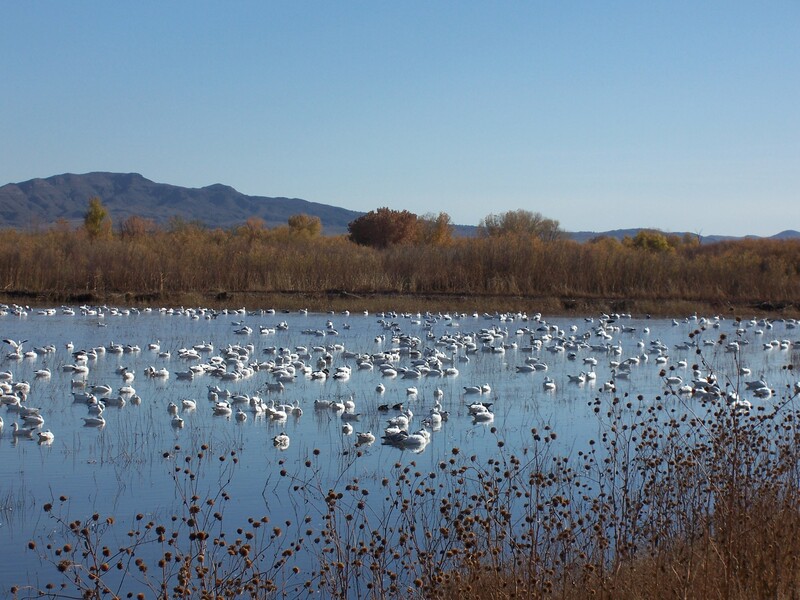 November, 2010 – Socorro, NM – Bosque Del Apache National Wildlife Refuge – Visited there during the Festival of the Cranes event. 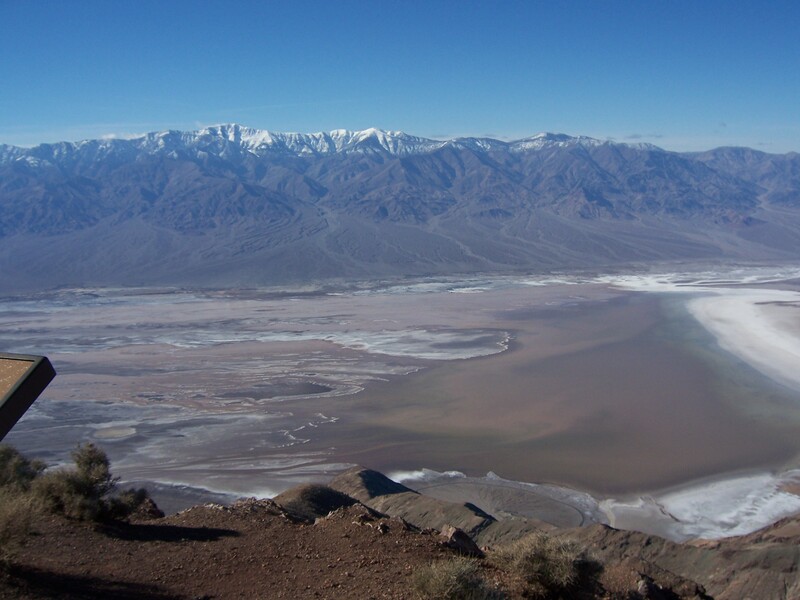 December, 2010 – January, 2011 – Death Valley, CA – A beautiful view of Death Valley during an annual Lazy Daze Rally. 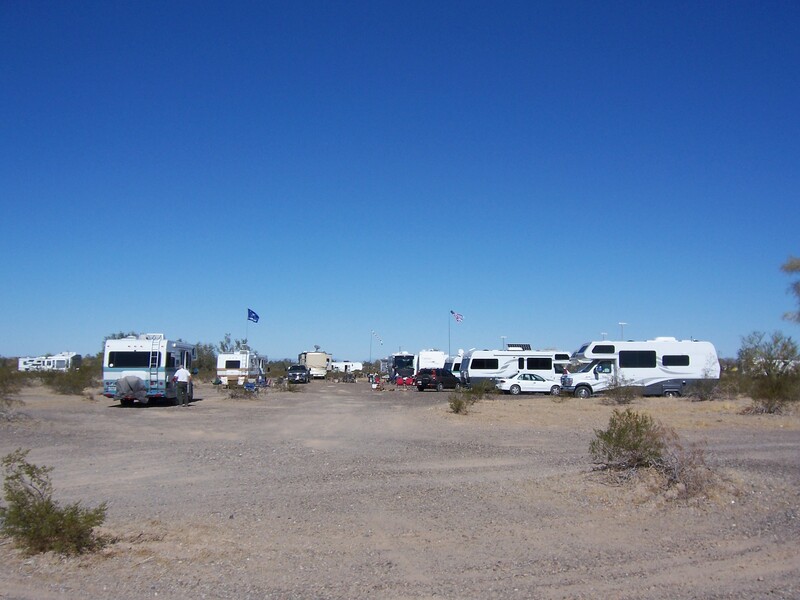 January, 2011 – Quartzsite, AZ – Got together with a bunch of Lazy Daze owners during the Quartzsite RV Show. It was a blast boondocking in the desert. Lots of food, a campfire every night and the BIG TENT RV Show. 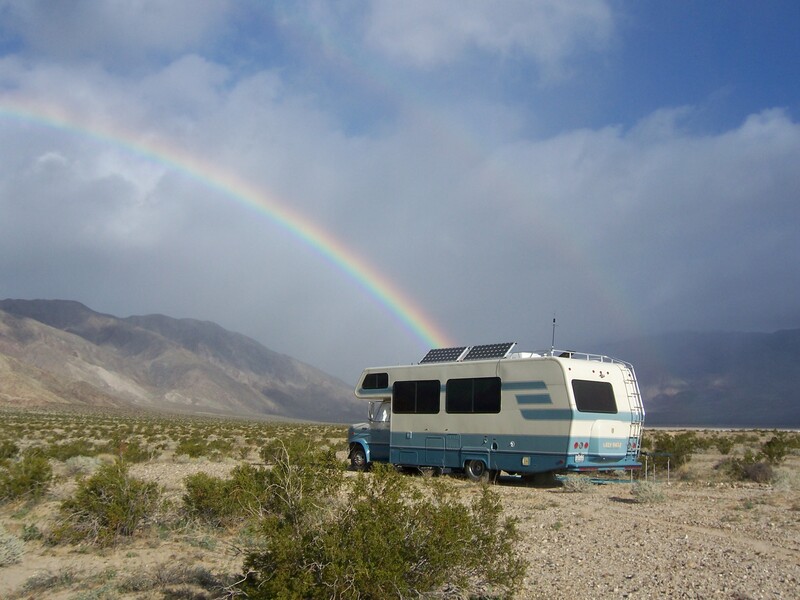 February, 2011 – Anza-Borrego, CA – Boondocking in the Anza-Borrego Desert. 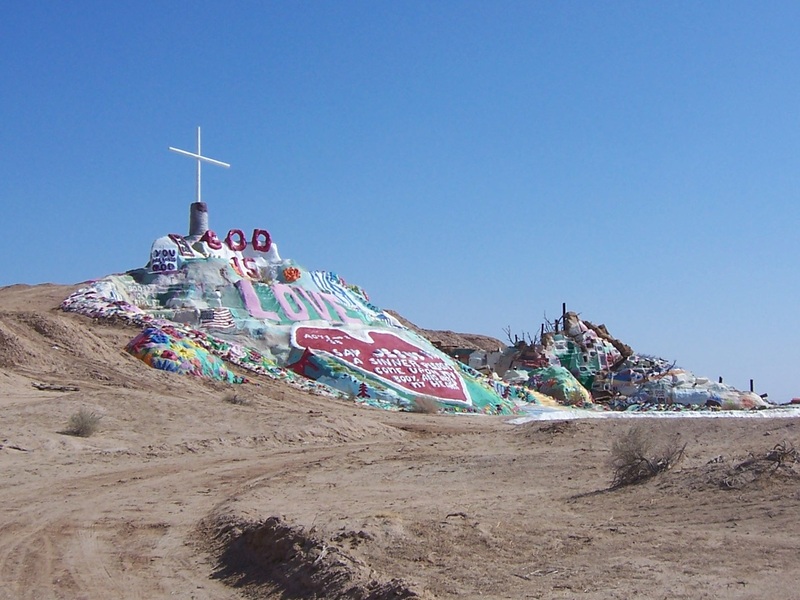 February, 2011 – Niland, CA – Boondocking with the LOW’s (Loners On Wheels) at Slab City. Everyone should go there at least once. 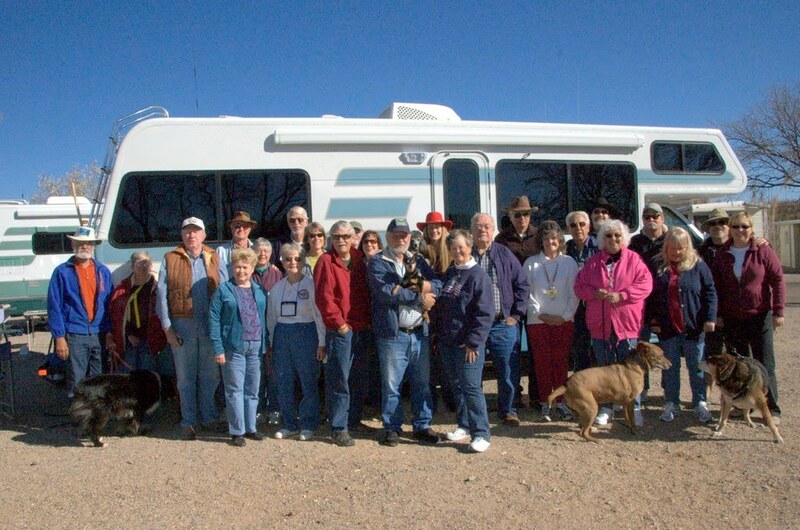 February/March, 2011 – Benson, AZ – The winter SW Lazy Daze Rally at Pato Blanco RV Resort. Lots of great food and people. 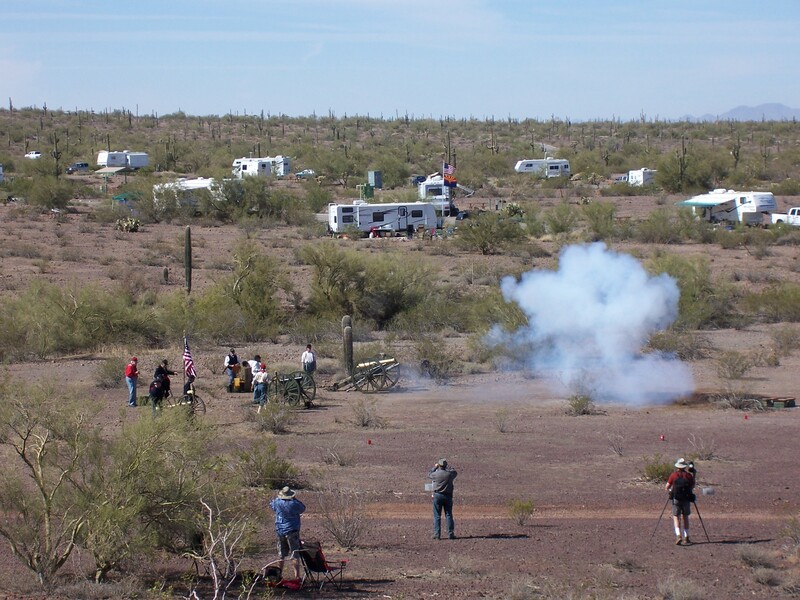 March, 2011 – Picacho Peak, AZ – A civil war re-enactment at Picacho Peak State Park. 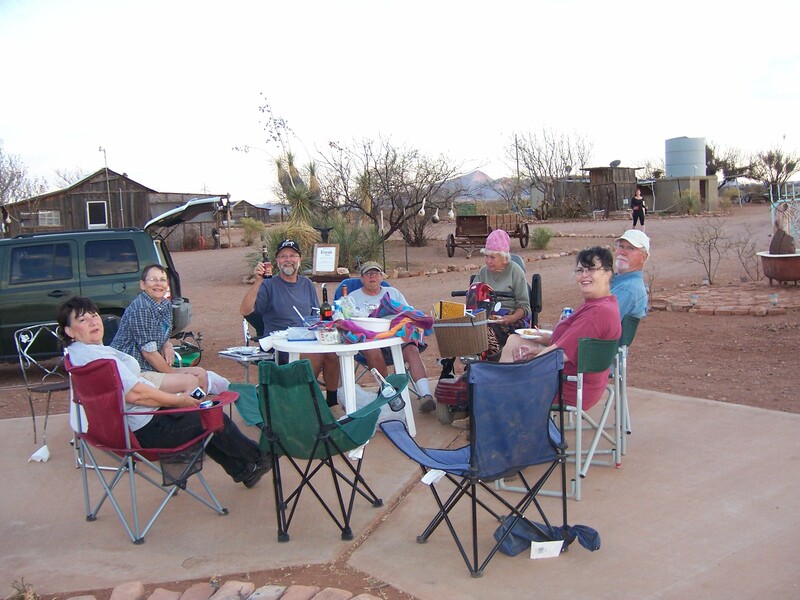 Event lasted all week-end with gun battles and actual tents and other equipment during that era..
March, 2011 – Douglas, AZ – Visiting with friends at Bell Starr’s Silverado Ranch. Belle is wearing the pink hat. We all helped Belle work on her ranch projects. A MUST see. She is quite a lady. 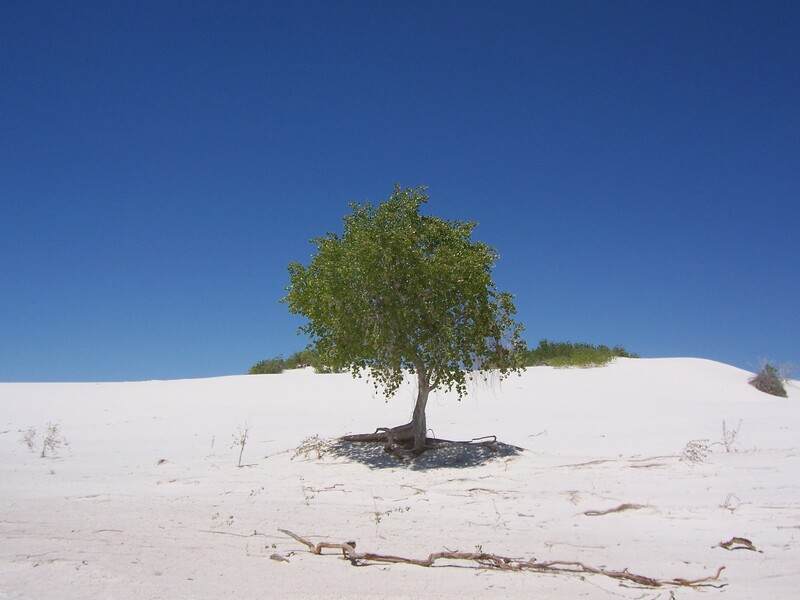 April, 2011 – Alamogordo, NM – White Sands National Monument. Very surreal. 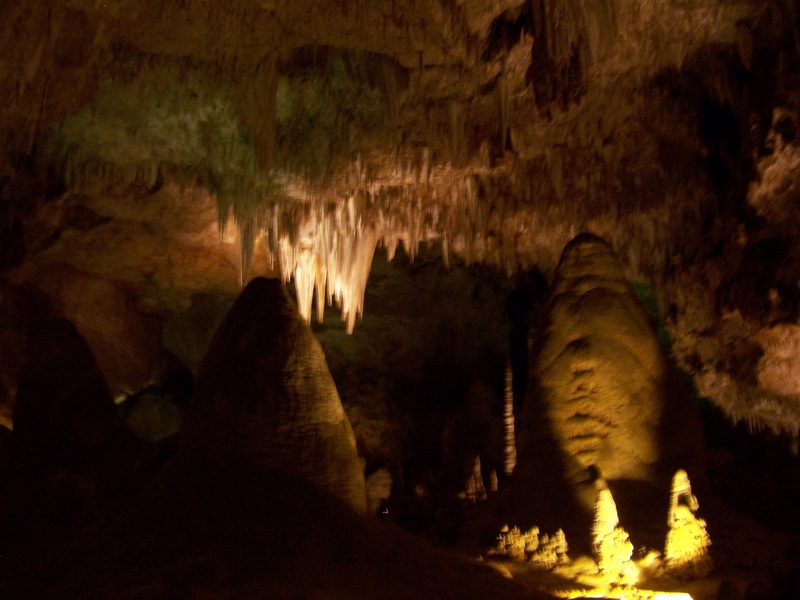 May, 2011 – Carlsbad, NM – Carlsbad Caverns. A MUST see. 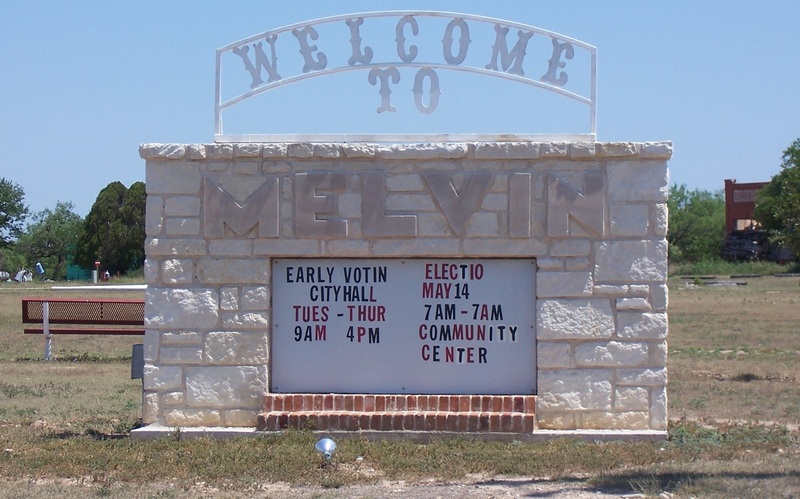 May, 2011 – Melvin, TX – I just had to visit there. 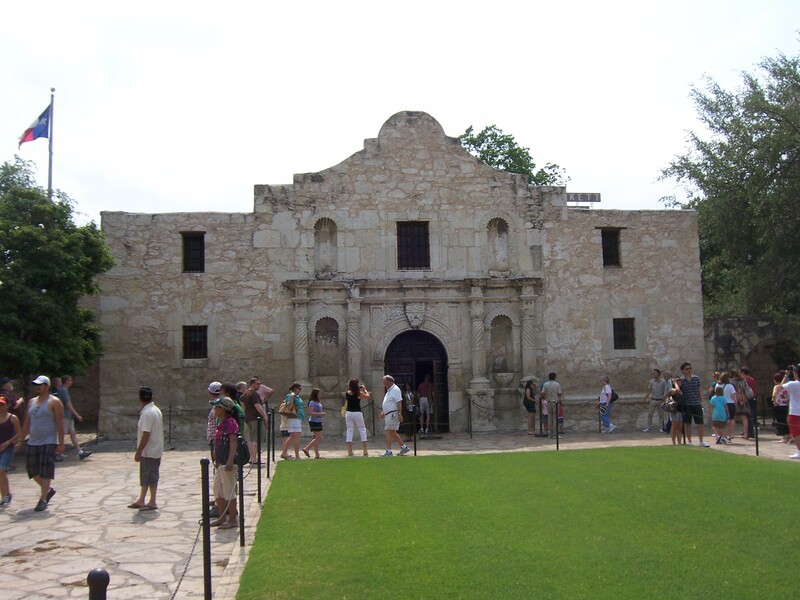 May, 2011 – San Antonio, TX – The Alamo in downtown San Antonio, TX. Another MUST see. 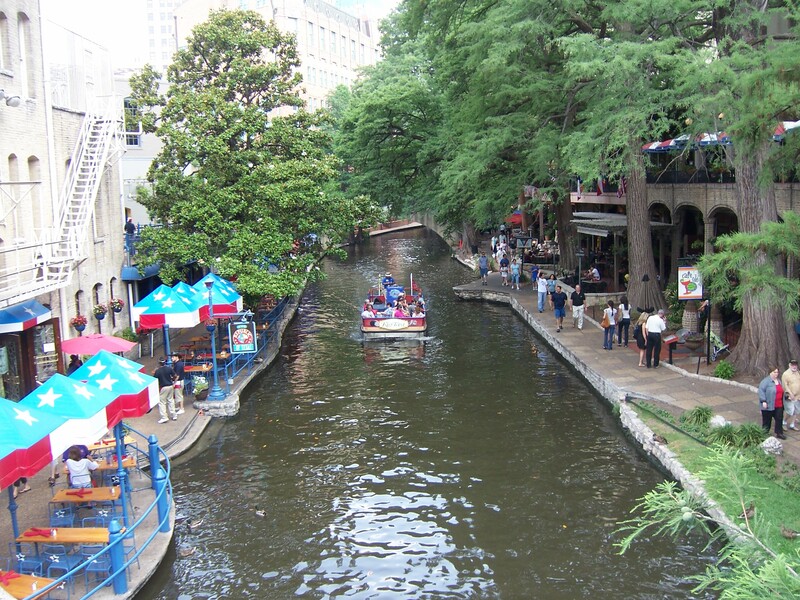 May, 2010 – San Antonio, TX – The San Antonio River-walk. A really neat and fun place. 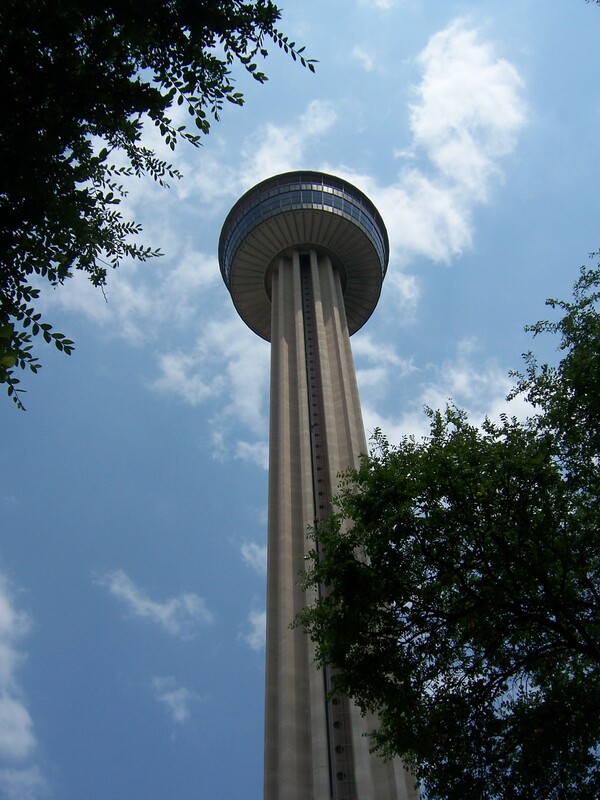 May, 2011 – San Antonio, TX – The Tower of Americas. The view from the top is spectacular. 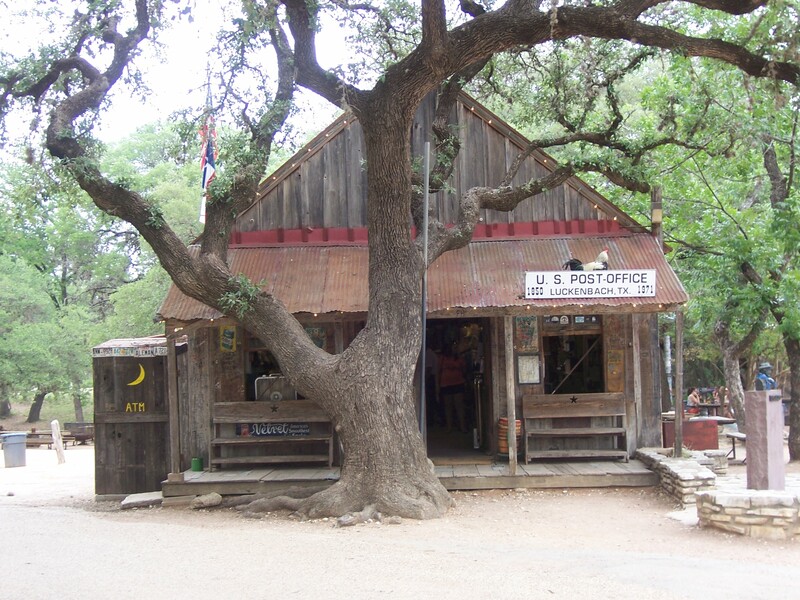 May, 2011 – Luckenbach, TX. I just had to visit here because of the song made famous by Willie Nelson and Waylan Jennings. 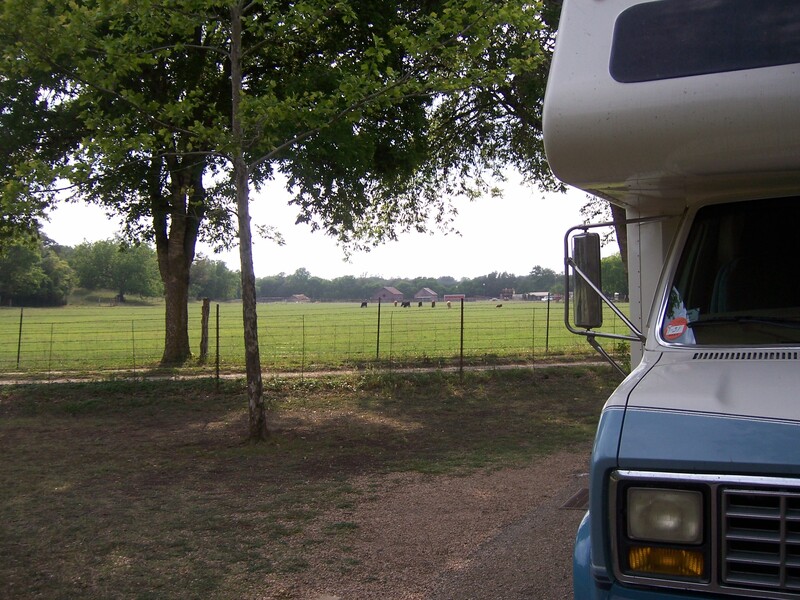 May, 2011 – Blanco, TX – My campsite in Blanco State Park. How about that for a back yard? 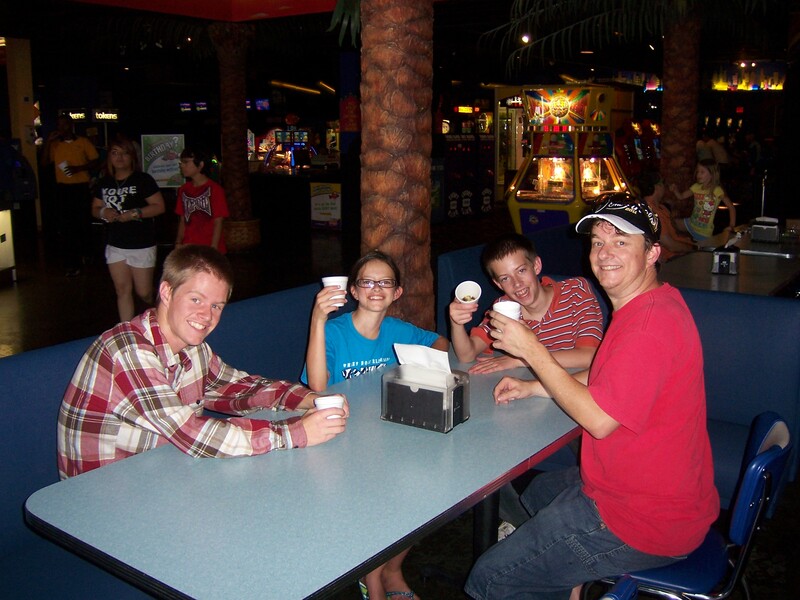 June, 2011 – Fort Worth, TX. The highlight of my year. Being able to visit my family. It was sooooo much fun. 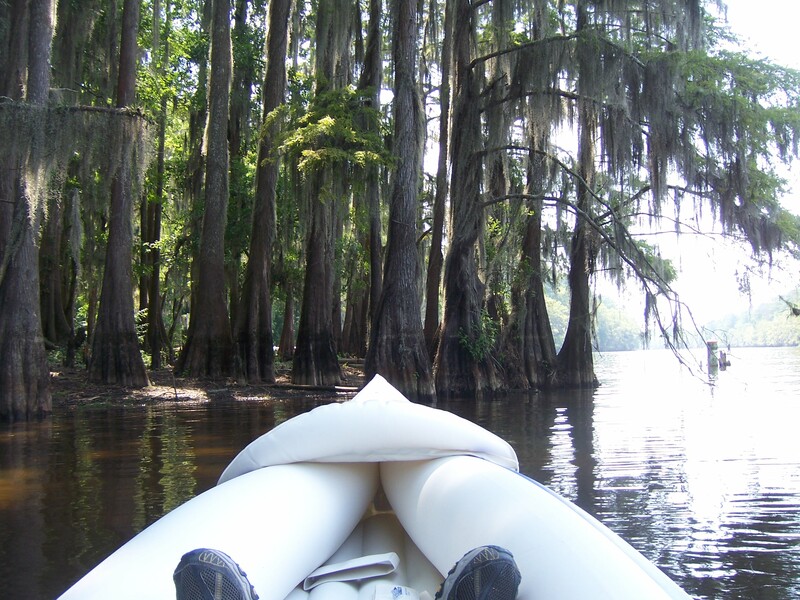 July, 2011 – Karnack, TX – Caddo Lake State Park. I spent a week here and loved every minute. It has been a wonderful year. I have traveled 12,702 miles in 6 different states and 2 different countries. I have attended 8 RV Rallies where I have met a lot of people, learned a lot about things I never knew anything about, and spent money upgrading my rig. This year has been much better then I even anticipated. I met a lot of great people who I continue to keep in touch with. I am looking forward this next year to travel to places I have never seen before and meet more wonderful people. 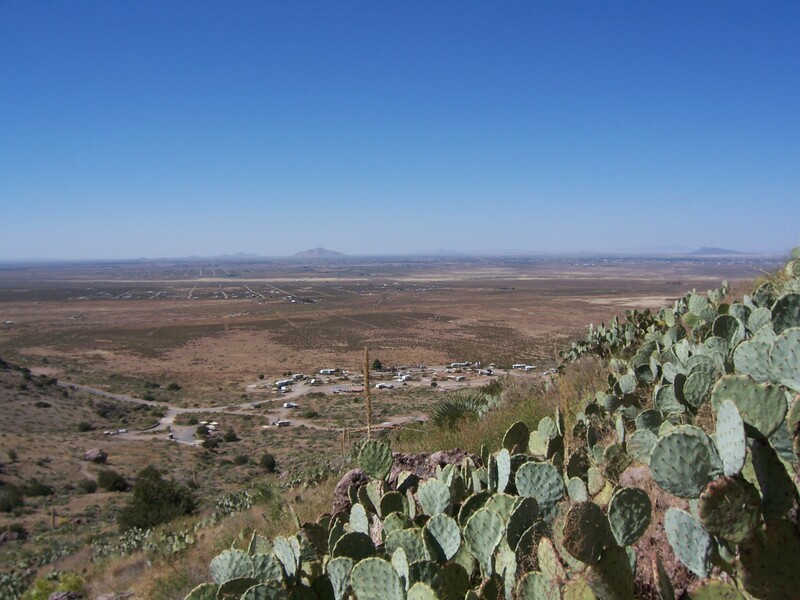 This entry was posted in Anza-Borrego, Arizona, Arizona State Parks, Benson, Blanco State Park, BLM Land, Bosque del Apache Wildlife Refuge, Caddo Lake State Park, California, Chapter 21 - Saguaro, Chapter 21 - Saguaro, Civil War Re-enactment, Crater Lake, Crater Lake, Death Valley, Escapees, Family, Kayaking, La Posa BLM, LOWS - Loners On Wheels, Mexico, My Friends, National Parks, New Mexico, New Mexico State Parks, Oregon, Palomas, Picacho Peak State Park, Quartzsite, Quartzsite Lazy Daze Rally, Rockhound State Park, RV Clubs, RV Rallys, Slab City, SW Lazy Daze Club, SW Lazy Daze Rally, Texas, Texas State Parks, White Sands National Monument by Jim Melvin. Bookmark the permalink. Congrats… Wow that went fast… Love the pictures as always. Oregon for sure lol… We are now in Idaho till Oct 26th… We had lost inet but we are back up and running – I’ve missed your blogs and it feels great to be back!! Conga rats señor! I hope my first year goes as well as yours appears to have. always wanted to fish. Can get there on the quad in 45 min. Congrats on your one year anniversary. I just had mine in March. Goes by fast, doesn’t it?? I’ve met the greatest people on this journey. That was the most pleasant surprise! Hope the next year is even better. I believe it WILL be. Congratulations Jim – – You’ve accomplished so much in one year; that so many dream and talk about, but never get themselves in gear and … Just Do It! We enjoyed meeting you at Quartzsite and again Benson. Hope our LD paths cross again soon. Congratulations on your first year! It is amazing how fast the time goes. I really enjoyed reading about your first year. What a wonderful journey you are on. We are only anytimers but perhaps we will meet you on the road someday or at an LD event. Keep on rollin’!! We started a little before you and are having a blast. We love your pictures and the tales of adventures. Keep it up! I am envious and sooo happy for you that you are living your dream. May your forthcoming year be better than this last year.